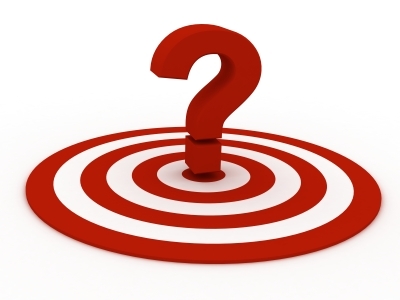 Are Preanalytical errors still Predominant? A recent study evaluated the frequency of preanalytical errors in a stat lab. In our continuing review of error rates, we begin to see evidence that dramatic improvements have been made in preanalytical processes, but significant gaps in analytical performance remain. When we compare preanalytical and analytical errors on the Sigma scale, does any testing phase "win"? 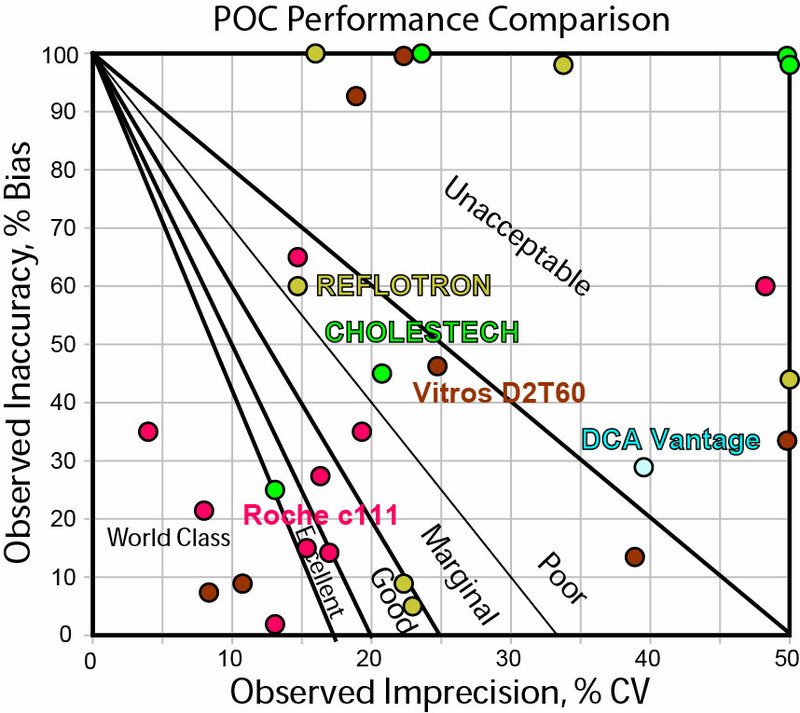 A study published back in 2012 examined the performance of 4 different POC analyzers and one HbA1c analyzer. These devices were meant to support a network of anti-retroviral clinics in South Africa. The study sought to find an analyzer that could improve clinical efficiency and patient care in HIV infected patients by enabling faster decision making. With this in mind, we evaluate the analyzer performance on the Six Sigma scale. What matters most? Making a fast decision? Or making the right decision? Alkaline Phosphatase (ALP) Goals: Can any method hit the mark? Continuing with our series examining quality requirements and goals and the performance of methods, we turn to alkaline phosphatase (ALP) methods. We examine the different goals offered and evaluate what current methods are capable of achieving. Are the German Rilibak goals always the most generous? On Saturday, May 17th, I will be conducting a 4-hour, 2-part workshop on Quality Control, as part of the Clinical Lab Expo 2014 held by the Asociación de Laboratorios Clínicos (www.alcpr.org) at Hilton Ponce Golf Resort and Casino. This week, April 20 through 26th, we salute the unsung heroes of healthcare, those who toil in anonymity but nevertheless maintain the highest standards of quality, those who provide the data that fuels nearly 70% of clinical decision making. We've sent out 7 Bobble-heads to winners of our Lab Week Raffle. We hope to post pictures of some of those bobbles once they arrive at their new homes. in the meantime, as labs celebrate the week,we offer two online store discounts. HAPPYLABWEEK will save you 15% off any online order during the actual lab week. If you're too busy to order, you can always wait until next week, when the coupon LABWEEKHANGOVER will save you 20% off any online order over $100. Thanks for all that you do. Thanks for caring about quality. Best Regards from the Westgards. This came out in January, and I've been neglectful in mentioning it. In their first issue of 2014, Advance ran an article on "Above Average QC", in which I was interviewed, as well as Sharon Ehrmeyer and others. Basically, it's an article recognizing that mere compliance is no longer enough for laboratories. Special thanks to Michael Jones, the writer, for working with me to refine my rambling answers to his questions into something legible. Heads up. I'll be giving a lecture at the ASCLS-Central New England 66th Annual Clinical Laboratory Science Convention, April 29 - May 1st. The ASCLS-CNE website is here. The conference proceedings can be downloaded here.